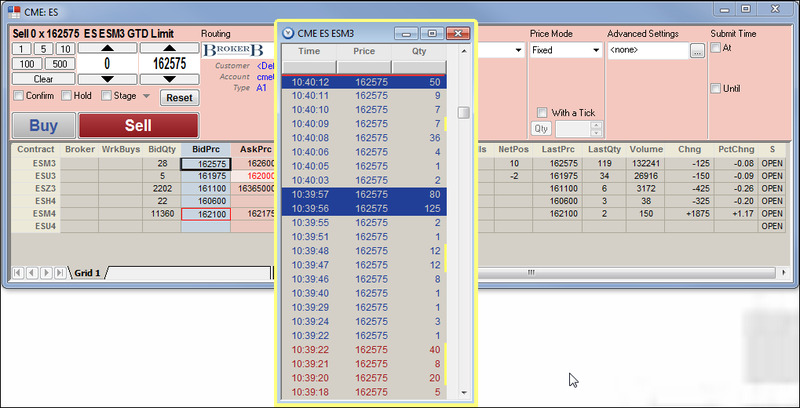 The Floating Time and Sales window can be launched by enabling it from the Market Grid context menu, then selecting a contract in the Market Grid. 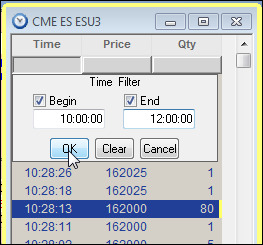 You can configure the Floating Time and Sales window to display trade quantities that are accumulated within a set time interval when multiple trades occur at the same price level. To configure the Floating Time and Sales window. Click the Price column and enter a price range. Click the Qty column and configure a minimum and maximum quantity range.